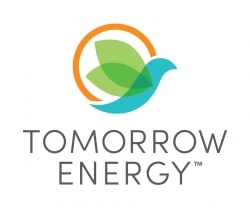 Houston, TX, April 01, 2019 --(PR.com)-- Energy Marketing Conferences, LLC announced, today, the nominees for the “2018 Retail Energy Provider of the Year Award” that will be presented at its tenth semi-annual Retail Energy Marketing Conference being held at the Houston Hyatt Regency Downtown in Houston on April 2. More than 600 attendees from all over the country are looking forward to hearing over 50 panelists and speakers. The conference will be the largest gathering of retail energy professionals in North America. The panels include: “Successful Channel Partnerships”; “Show me the Money: How Distributed Resources make everyone more profitable”; New Competitive Markets: Foreign and Domestic”; Blockchain and Other Emerging Technologies in Retail Energy”; and the CEO Round Table focusing on growth, expansion and overcoming obstacles that are in the way. Sponsored by Arise Digital Marketing, the nominees for the 2018 REP of the Year Award are: Constellation, Eligo Energy, Engie, Just Energy, NRG, Shell and Tomorrow Energy. “The nominees for the REP of the Year Award are seven companies who have exemplified real leadership in the retail energy industry,” said Jack Doueck, Co-Founder of Advanced Energy Capital, LED Plus and Energy Marketing Conferences, LLC.